Once an officer, always a Cougar. Houston BHA is incredibly grateful for the support and leadership that officers provide. On this page, you'll find our hall of fame for officers. Thank you, officers, for everything you have provided Houston BHA! Picture provided by David Dinh, November 2016. The 2016 - 2017 Leadership Team was responsible for establishing a strong foundation for BHA's future. Asit, Hadiqa, and Rima conceptualized the idea in February 2016 and founded the organization in April 2016. 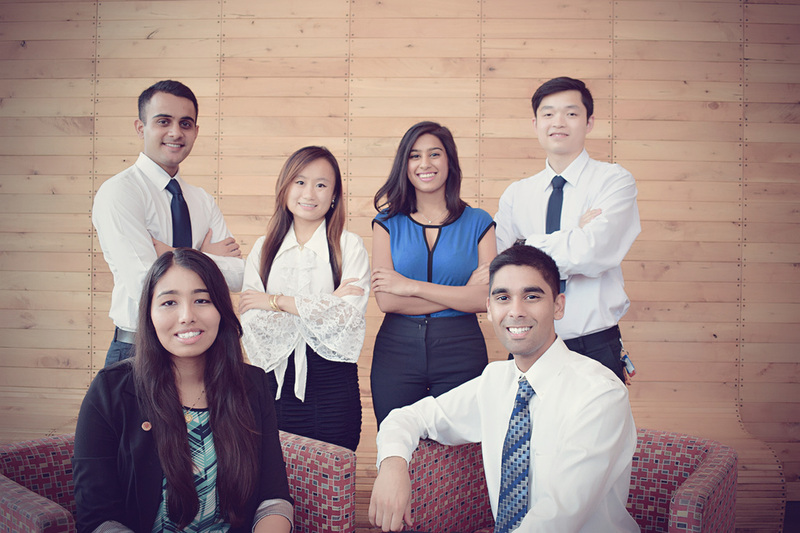 Officers in the photo (from left to right): Standing - Harshil Patel (BBA '19), Jennifer Vo (BS '18), Rima Shah (BBA & BS '18), and David Dinh (BS '18); Sitting: Hadiqa Memon (BBA '18) and Asit Shah (BBA '17).